Photo, black and white. 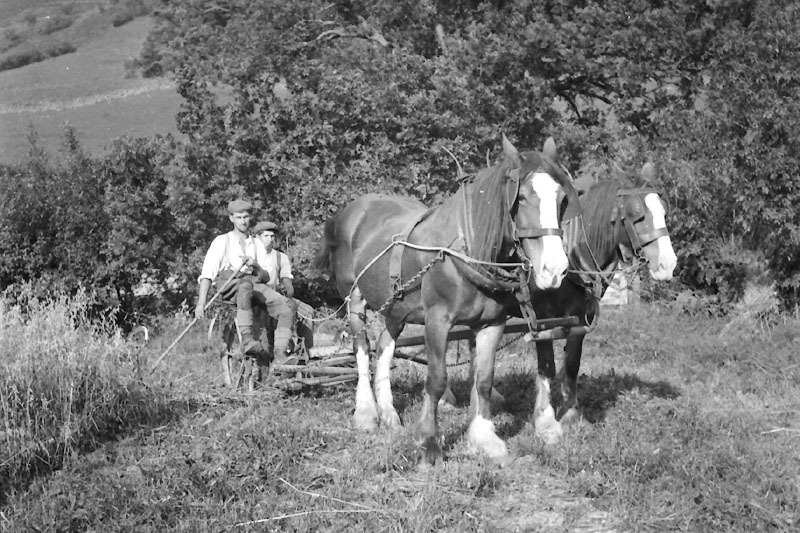 Harvest-time, horse-powered farming in field near High Barn. Tom Fishwick and his brother Bill, late 40's- early 50's before the little grey Fergy came along! Bill is the driver, behind, and Tom is working the cutter/rake.